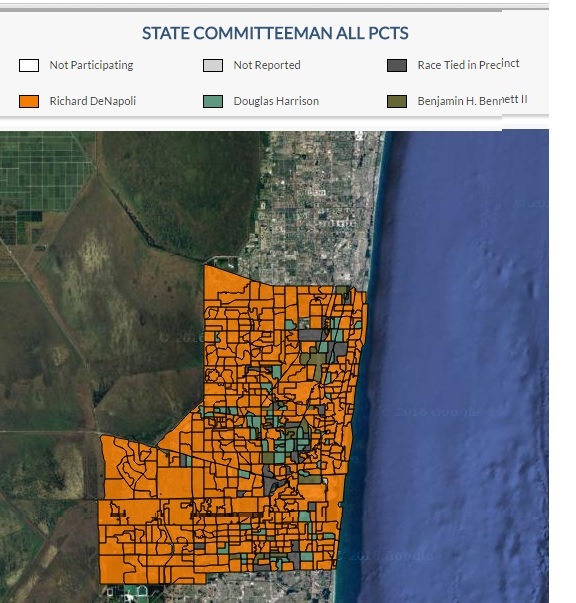 Richard DeNapoli won more than 50% of the vote in a landslide in the August 30th Election, becoming the newly elected Broward Republican Party State Committeeman. He will be serving for four years. 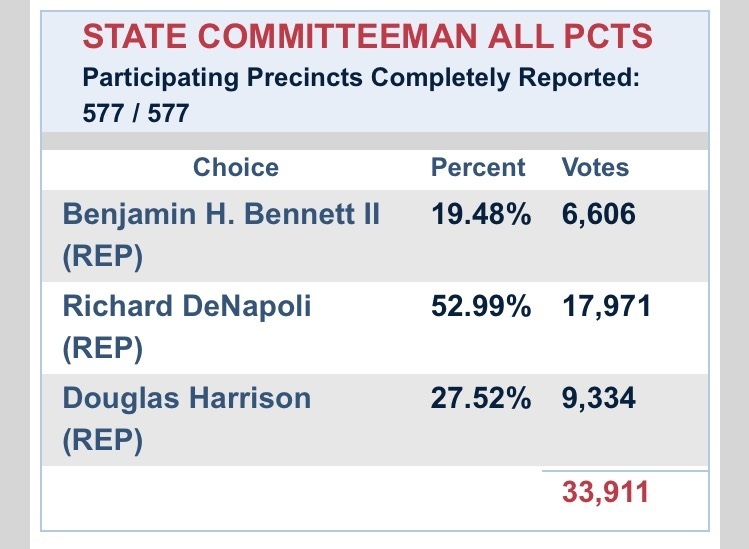 Broward County, FL, September 2, 2016	(Newswire.com) - Richard DeNapoli, a practicing attorney in South Florida who is the Chief Trust Officer of a Florida-based Trust Company, won the Republican Party’s nomination for State Committeeman of Broward County in the primaries held on this date. He received 53% of the votes over his two opponents. Mr. DeNapoli is a former Chairman of Broward County Republican Party, also known as the Broward Republican Executive Committee. I have known Richard for many years, as a friend, family man, husband and father of two boys. He has been a successful Chairman of our Broward Party, was appointed by the Governor to the Florida Real Estate Commission, and as our next State Committeeman, already has the contacts statewide to ensure Broward is well represented. Richard DeNapoli has the experience to lead Broward again, and there is NOBODY else you should consider to Vote for for State Committeeman. Vote DeNapoli!" In addition to his practice of law, Attorney DeNapoli is a Certified Financial Planner® and holds licenses as a Florida Real Estate Broker and Mortgage Broker. Richard DeNapoli has over 14 years of experience in law and trust services. He is a native of Hollywood, Florida, and a graduate of the University of Miami School of Law (2008, LL.M., Estate Planning), Fordham Law School (2002, J.D.) and New York University (1999, B.A., Politics; B.A. Italian). 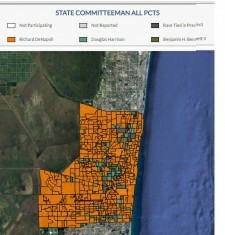 Vote for Richard DeNapoli for Broward Soil and Water Conservation District to save Florida's beaches. Richard DeNapoli Running for Broward Republican Party State Committeeman Asks for Your Vote on August 30th Election. Check Voting Location, Times and Early Voting Locations and Times Here. 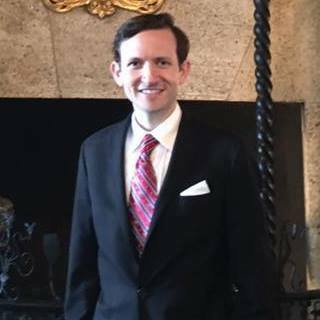 Richard DeNapoli, a practicing attorney in South Florida, has announced that he is seeking the Republican party's nomination for State Committeeman of Broward County. Mr. DeNapoli is a former Chairman of Broward County Republican Executives and has generated much fundraising dollars for the Broward GOP and has brought many GOP leaders together. He humbly asks for your vote August 30th Primaries or in Early Voting. Richard DeNapoli is a Republican leader in Broward County who was Chairman of Broward Republican Executive Committee. Formerly a Jeb Bush supporter, once Jeb dropped out, Richard DeNapoli supported Trump. The need for change in the Presidency is urgent. The middle class have not had a raise in median wage since early 2000s. Many conservative Republicans have yet to deliver on promises, but Trump would be effective against Congressional gridlock & bring over Democrat voters. Vote for Change 2016.